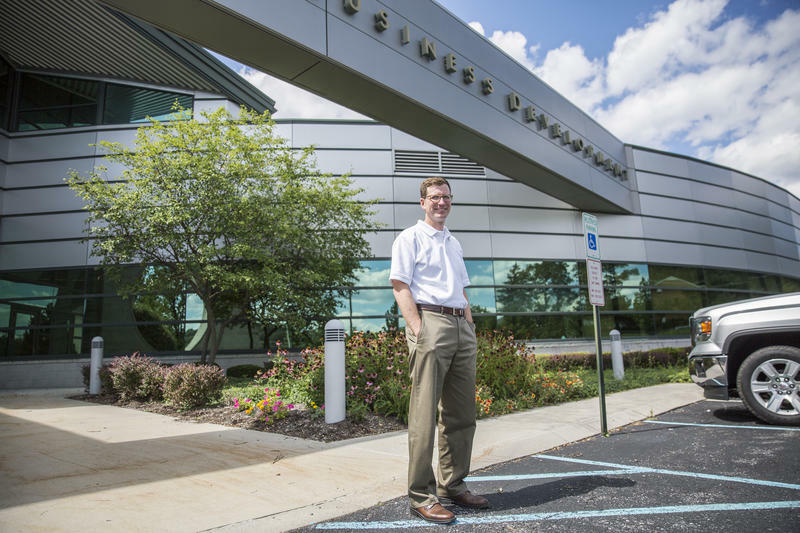 Steven McKnight in front of the building that houses the Altoona Blair County Development Corp., where he's the president and CEO. He started the First Frontier campaign to bring natives and newcomers to Altoona. Bill Ward is part of the fourth generation running Ward Transportation. He said Altoona is where he belongs. Christina Battisti moved back to Altoona in August 2016. She said she's happy with the low cost of living and the chance to be close to family. 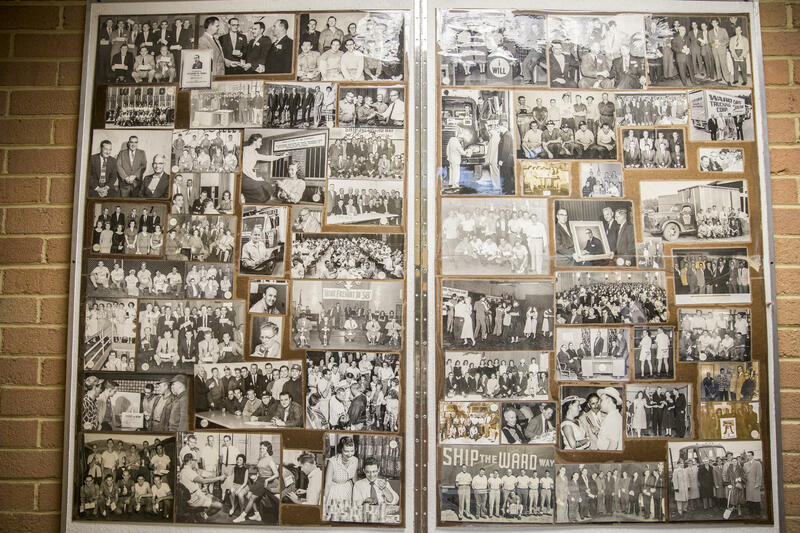 A collage of old photos at Ward Trucking showcases the history of the company. McKnight grew up in Altoona and moved to D.C. for work for a few years after college. He boomeranged back to Altoona but left again when his wife took a job in Pittsburgh. This year, his daughter is going to elementary school at his alma mater. McKnight is the president of the Altoona Blair County Development Corporation. He said this time he’s sticking around, and he’s started a campaign, working to bring more people home. “They’ve gone away and now we want them to come back. When we see them come back and establish – or re-establish – roots, open up businesses and invest in properties. Those are the stories that we want to celebrate,” he said. The campaign, First Frontier, aims to rebrand Altoona, emphasizing its affordable housing, job opportunities and quality of life. In their campaign video, they welcome those who have left and those who've never been to the area to "come home." “We used to be all about a single mission which is to attract big businesses, big industries to a certain area, and nowadays, it’s all about attracting people now,” McKnight said. Healthcare, retail and manufacturing account for more than half of Blair County’s employment. But McKnight said technology has allowed people to become more mobile with their work, and they get to put lifestyle first. Christina Battisti moved back to Altoona a little over a year ago. After living in Los Angeles for a decade, Battisti said she is soaking in the change in the pace of life. Altoona’s cost of living is about 12 percent lower than the national average, according to Forbes. Battisti said she’s happy with that low cost of living and the opportunity to be close to her family. In L.A., Battisti worked in marketing in the entertainment industry. She jumped from one project to another, and said she never wanted a full-time job. She wasn’t sure if that would work in Altoona. “Surprisingly the gig economy here in Altoona is working out pretty well,” Battisti said. Battisti said she is able to strike a balance between partnering with a local marketing company and starting her own storytelling workshop. The transition took a lot of work, but she said now she can envision a future based in Altoona. Although, she misses having a group of like-minded people. “Not having a tribe of people or my core group of people that I can go to on a regular basis for encouragement or motivation or a pep talk – that has been very frustrating,” Battisti said. A little farther from downtown, Bill Ward is busy overseeing trucks leaving for destinations across the country. Ward said this is where he belongs. 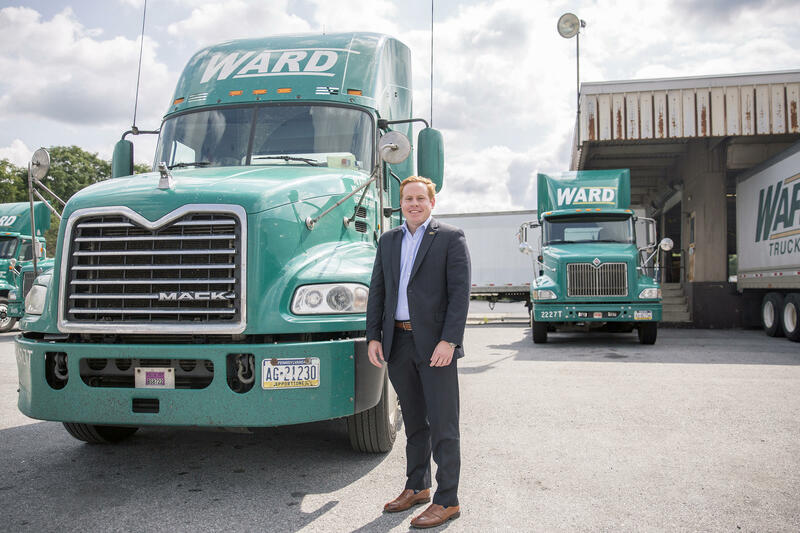 His great-grandfather started Ward Trucking in 1931 in Altoona. Today, he is part of the fourth generation running this family business along with his father, brother and two cousins. “My grandfather tells this story he remembers when he was a kid the drivers would actually stay in their guest room. His mom would cook for them,” Ward said. He said not a lot of family businesses could make it to the fourth generation. For the first two generations, the trucks mostly traveled around Central Pennsylvania. That has changed. The company now has a network spread across nine states, from California to New York to North Carolina. Although Altoona will always remain their headquarters, it doesn’t handle as much traffic anymore. Ward is also a boomeranger. He went to the Navy Academy in Maryland, then deployed to the Middle East twice. He lived in San Diego before returning earlier this year. He said making the decision to come back was easy. “Everybody really looks after each other. Lots of businesses here take care of the community. In other bigger cities, you don’t necessarily see the same priority placed on people," Ward said. He said that’s a big differentiator between an urban area like downtown San Diego as compared to Altoona. Ward said businesses in the area are thinking ahead. Ward Trucking has aimed their marketing campaign at millennials. One of their strategies was to write a catchy commercial jingle. The mayor of Altoona, Matt Pacifico, said local government is working to bring in new businesses and young talent. He pointed to Altoona’s recent exit from Act 47 to show that the city is on an upswing. Lorain, Ohio, just west of Cleveland, has struggled for years. Once a thriving steel town, the Lake Erie community of 64,000 now has a poverty rate of 28 percent and unemployment above 8 percent. But city officials are beginning to change the way economic development is done there, and, as Matt Richmond of Here & Now contributor WCPN ideastream reports, they hope to bring about a revival. 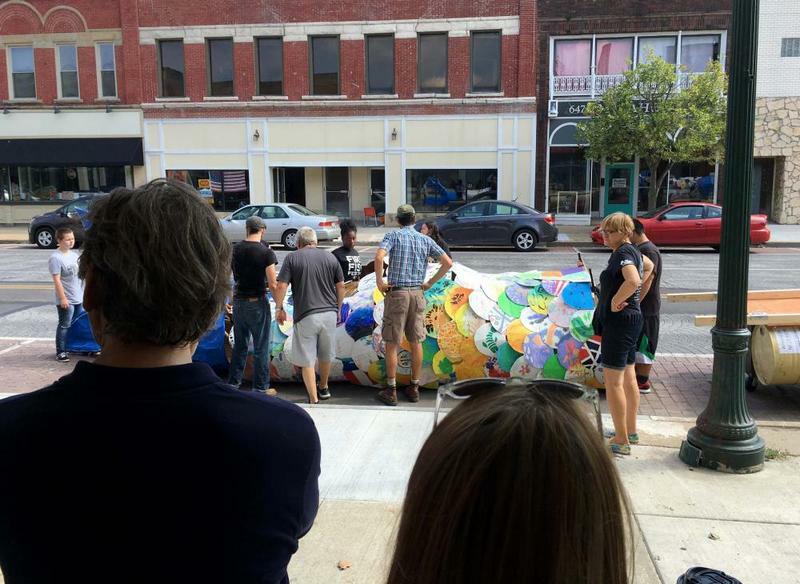 The city of Altoona officially came out of Act 47 on Wednesday, bringing an end to its distressed city status. Altoona's successful exit is a big win for its local government and their collaboration with the state. Pennsylvania Department of Community and Economic Development Secretary Dennis Davin officially announced the rescission in Altoona's downtown Devorris Center. 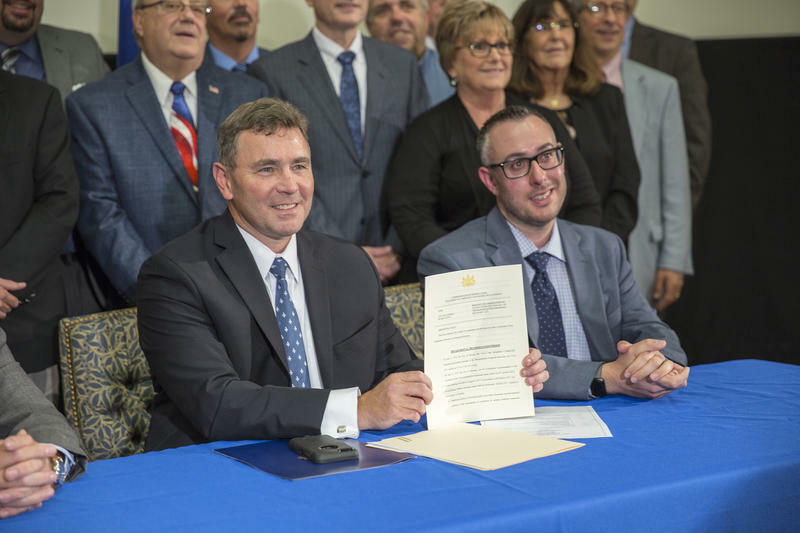 “On behalf of Governor Tom Wolf and the Commonwealth of Pennsylvania, I’m officially signing the order which allows the city of Altoona to exit Act 47 today,” Davin said.